Dizygotic twinning is when two sperm fertilize two eggs and produce two zygotes which grow as two separate organisms. Not confusing, right? 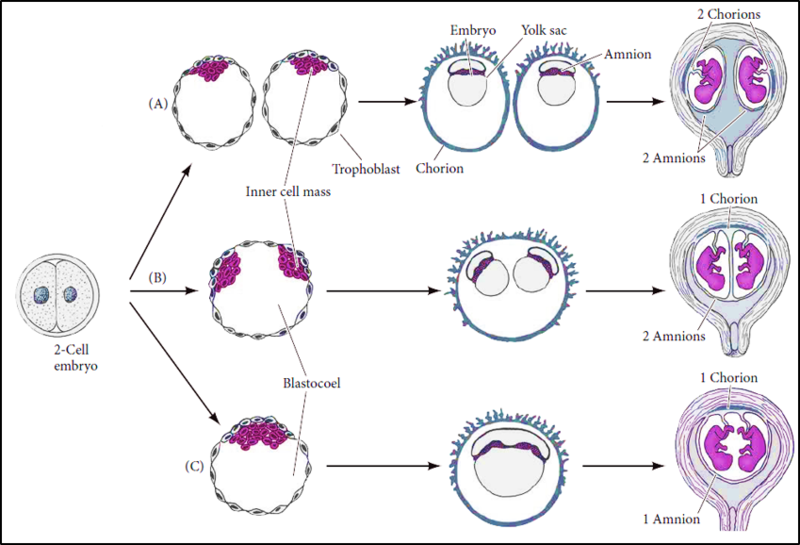 Monozygotic twinning is when a single sperm fertilizes a single egg and produces a single zygote, but in the earliest stages of development that embryo splits into two organisms. We don’t actually know why this happens. MZ twinning is more common in in vitro fertilization (IVF) than in naturally occurring pregnancies, and there is some interesting research trying to explore why that might be, but so far we haven’t got any clear answers. 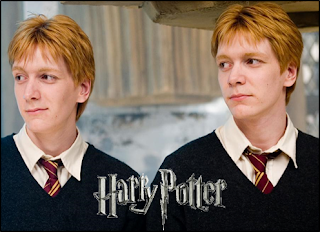 Fred & George prove mysterious once again. Occasionally people point to MZ twinning to undermine the claim that the human zygote is the first developmental stage of a human organism. After all, if it’s possible the early embryo can split, does that mean the zygote is actually two organisms at once? How can we say the zygote is the beginning of a single human organism when we don’t know how many organisms will be present at the end? But we have analogous situations where a single organism can ultimately produce another, and that doesn’t undermine the fact that the original organism was and is a single organism. For example, some people think of MZ twinning as akin to a type of asexual reproduction. 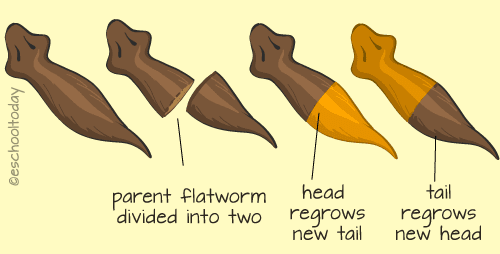 Flatworms can eventually generate and split from new flatworms. That doesn’t mean the original flatworm wasn’t an individual organism. The parent flatworm on the far left is an individual organism. Others see MZ twinning as a type of natural cloning. 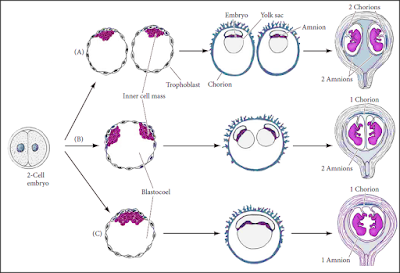 In somatic cell nuclear transfer (cloning), we take the DNA from Donor 1, and then we take an egg from Donor 2. We remove Donor 2’s DNA from her egg, and instead we insert Donor 1’s DNA into the egg. We stimulate that cell to grow, implant in a surrogate, and the surrogate will gestate and birth a clone of Donor 1. Donor 1 (top left blue cow) is an individual organism. This is a fascinating and impressive process, but it doesn’t change the fact that Donor 1 is an individual organism. We wouldn’t look at the donor cow and say “Is she an organism? Is she just one organism? If bizarre or mysterious processes happen to some of her cells, it’s possible she could generate a new organism, so how do we know how many organisms she is?” No, we know she is a single cow. By analogy, the zygote may, for reasons mysterious, generate an additional organism; that doesn’t change the fact that the zygote is a single organism, and that a human zygote is the first developmental stage of a human organism.